EA has made some unpopular decisions that have stuck in the industry. Many still blame them for the ridiculous free-to-play monetization the industry has seen in recent years. Now they have a new free-to-gouge model, although I actually think I like it. In a post-earning conference call today, EA CEO Andrew Wilson explain that EA has embraced the idea of games-as-a-service for years. However, they recognize that it can be tricky to get people to sign up for service. As a result, they’re looking at other models in various industries. As we look to the future, we believe a very big part of our player base will expect a free-to-start experience. When we look at film, TV, music, books, very often there is this free trial notion that actually onboards new players, new listeners, new readers, or new viewers into a service. We’re actively looking into how we could offer that type of experience to our players on console and across other platforms. Okay, so some of you might be getting your torches and pitchforks already. Free-to-start sounds awful, but it’s actually a policy that we’ve been begging to see return. Remember the bad old days of demos? Or when games were easily exchanged so if you hated it after a few hours you can bring it back and try something else? Well, that’s what is sounds like the idea might be behind free-to-start. Some of it will be like the EA Access program on Xbox, but I think we might see more free game time from EA in a bid to get people to fall in love with their games and spend money to play more. This actually sounds… reasonable to me. The EA earnings are way way up, sending after hours trading for EA stock up over 4%. It isn’t just that EA made more money that’s making investors happy – it’s that the source of that income is part of the buzz-word economy: online/digital revenue. With so much of that money coming from “Extra-content” (read: DLC), of course EA will be sticking with what works for them. 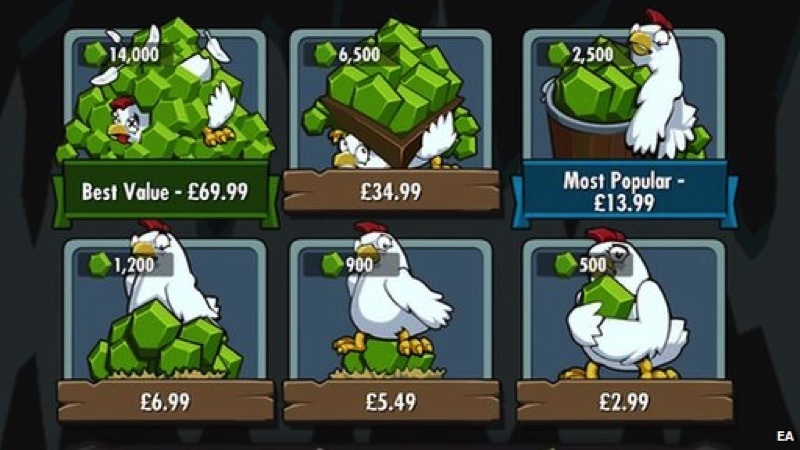 It’s not just mobile that’s raking in the cash, it’s all those Ultimate Team packs, extra weapons for Plants vs Zombies and all those extra levels and cosmetic upgrades. I suppose that we can only blame ourselves – buying all the cool DLC is making them money, which makes them want to release more DLC. At least we should know what we’re getting into with games thanks to the free-to-start idea. Let’s just hope that once we buy in, there aren’t as many (or preferably any) micro-transactions in the full games.